“My mojito in La Bodeguita, my daiquiri in El Floridita’ – so said Havana’s most famous literary resident and full-time bon-viveur, Ernest Hemingway. 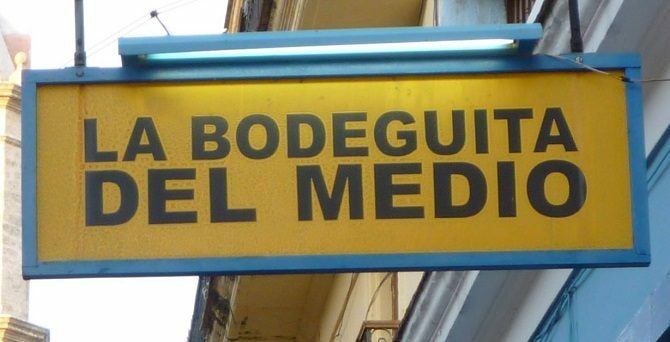 Hemingway was referring to two of his favourite bars in Old Havana, the Bodeguita del Medio and El Floridita, both of which are still going strong, albeit rammed 24/7 with tourists, although you don’t need to go to the former to get a good mojito. You don’t even need to go to Cuba (although it’s preferable – just like coca cola from a bottle) to enjoy a good mojito although heaven knows there are any number of bars around the world that seemed determined to mess-up this classic cocktail. A good mojito is very simple to make and ideal on a hot day. There are just 5 ingredients that go into a mojito – white rum, sugar (cane juice is best if available), lime juice, sparkling water and spearmint. 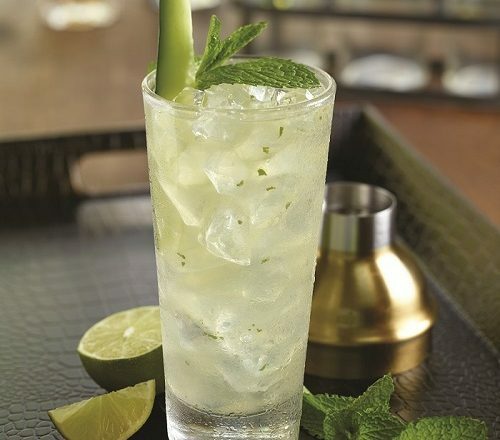 First of all, always use a highball (a tall glass) – mix together the lime juice, sugar and mint and ‘muddle’ together so as to release the oil in the mint leaves; do not tear or chop the mint leaves but do remove the stems as they can be bitter. Then add the rum slowly and give it a stir to dissolve the sugar and raise the mint leaves from the bottom of the glass. 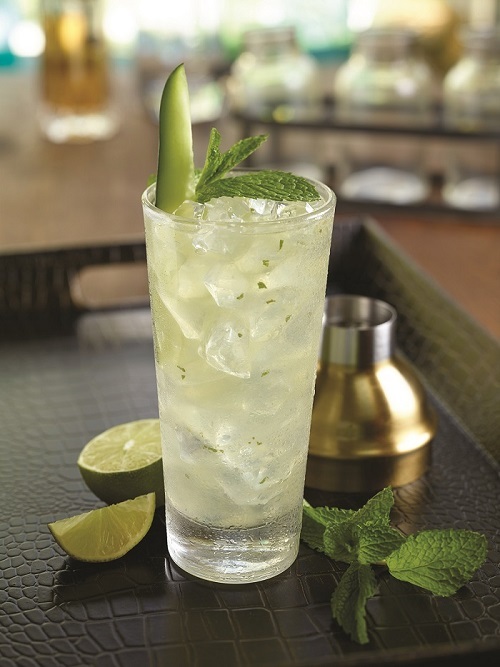 Then add ice cubes and top with the water before finally garnishing with a fresh sprig of mint and lime wedge. Still uncertain……just watch this video. If you like your cocktails with a bit more bite then you can try adding a dash of Angostura bitters or even some dark rum. 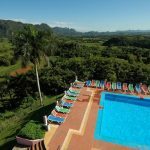 Mojitos are available pretty much wherever you go in Cuba although prices do vary. In Havana they range from 2.50 – 5 cuc while, outside of the capital, they seldom cost more than 3 cuc.